Having a roof that protects your building begins with its design, the materials selected and proper installation when built. This doesn’t happen very often and could be outside the expertise of managements usual activities. You need a continuous program of inspecting, maintaining and repairing – should be a routine part of your operations to extend the lifespan of your roof to ensure your roof is able to protect your business from weather issues. All roofing materials deteriorate over time from exposure to the elements at rates that are largely determined by the type of material and how it was exposed. Inorganic materials generally tend to deteriorate more slowly than organic materials. If areas of deterioration are showing, have the membrane inspected for possible water infiltration. Poor roof installations can cause voids in the membrane, drains to be blocked, and result in water ponding on the roof. Other causes might be HVAC units without proper condensation drainage lines, drains blocked by debris, or a slope that is improper. 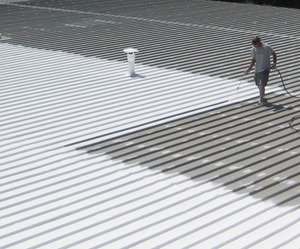 UV Rays added to ponding moisture can have negative effects on roofing. Before repairs are ordered, the source of the ponding water needs to be investigated. You should always inspect for these causes thoroughly before making any recommended repairs. The rooftop can be used as a location for many types of mechanical equipment – ladder struts, antennas, flag poles, signs, bracing, etc. They shouldn’t be placed on top of the roof unless absolutely necessary and they should never be mounted or placed directly on top of the roof membrane. You should have them mounted to a solid support structure or to raised curb-type supports. Flat flange or curb flashings can then be implemented to keep the roof watertight. Then roof replacement and recovering can happen without disturbing or removing the equipment. Blistering happens when there are voids in the roof system. Voids can show up from skips in bitumen mopping, debris thats trapped, substrates that are uneven, membranes not relaxing properly, or gases trapped due to moisture in the materials. During the day, as it gets warmer, air and moisture that are trapped in any voids expand. The pressure that develops in the void stretches the warm flexible membranes and displaces them which forms a blister. At night, the membranes cool, get stiff, and don’t return to their original shape. This creates a vacuum inside the blister, and more air gets drawn into it through tiny cracks in the membranes. If you have just a few blisters, they usually don’t lead to issues, as long as the blisters remain watertight and don’t get too big. If a blister ruptures, moisture can reach the interface and degrade the strength of the membrane. Because of this, it’s critical to not break blisters. You should avoid stepping on them, especially when the membrane is cold. If a rupture happens, the blister gets to be too big, or the blister pulls the seam apart, a repair will probably be needed. Penetrations going up and through the roof membrane are usually flashed in one of two ways. 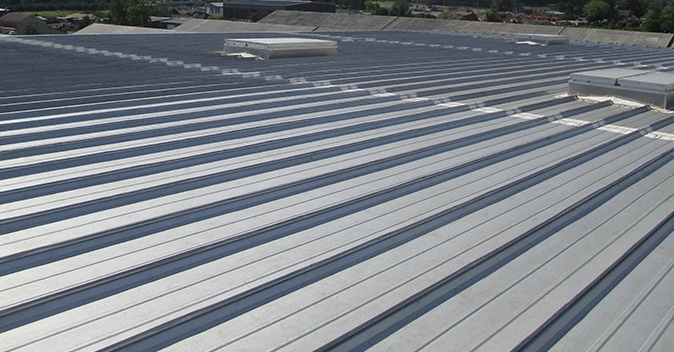 Single pipes and small vents will use flat metal-flanged flashings that are installed directly on the top roofing material and stripped in. Bigger penetrations and groups of smaller penetrations will use curbs made of metal, concrete, or wood, flashed in, and will usually have metal counter flashings installed with them. Back-outs are usually caused by shortcomings in the shank length, the nature of drill points, poor thread design, stress plates and fastener heads. If back-outs are found, check the roofing system to assess whether or not other back-outs are likely to happen. If a many fasteners have backed out or look like they’re starting to back-out, rather than getting repairs, you may need to consider a roof replacement. Armadillo Roofing & Exteriors (512) 333-7663 has been serving the greater Austin area for over 17 years. When you need a professional, experienced and trustworthy commercial metal roof repair contractor for your next project, give us a call.